The four classic novels of Sherlock Holmes available in a new slipcased edition. The publication of Leslie S. Klinger's brilliant new annotations of Sir Arthur Conan Doyle's 56 short stories in 2004 created a Holmes sensation. 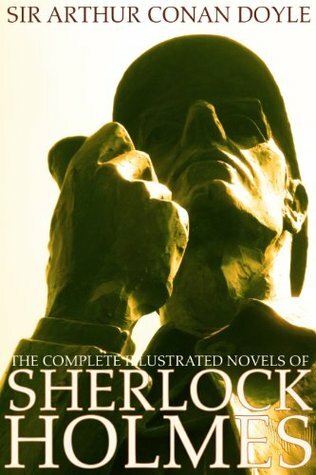 Here, in this eagerly awaited third volume, Klinger reassembles Doyle's four seminal novels in their original order, with over 1,000 new notes, 350 i The four classic novels of Sherlock Holmes available in a new slipcased edition. The publication of Leslie S. Klinger's brilliant new annotations of Sir Arthur Conan Doyle's 56 short stories in 2004 created a Holmes sensation. Here, in this eagerly awaited third volume, Klinger reassembles Doyle's four seminal novels in their original order, with over 1,000 new notes, 350 illustrations and period photographs, and tantalizing new Sherlockian theories. Inside, readers will find: A Study in Scarlet (1887)—a tale of murder and revenge that tells of Holmes and Dr. Watson's first meeting; The Sign of Four (1889)—a cinematic tale of lost treasure; The Hound of the Baskervilles (1901)—hailed as the greatest mystery novel of all time; and The Valley of Fear (1914)—a fresh murder scene that leads Holmes to solve a long-forgotten mystery. Whether as a stand-alone volume or as a companion to the boxed short stories, this classic work illuminates the timeless genius of Conan Doyle for an entirely new generation. Slipcased hardcover; two-color text; 300 illustrations.